Today I'm happy to share my haul from Digital Nails. I got these polishes last month and have had a lot of fun with them already! 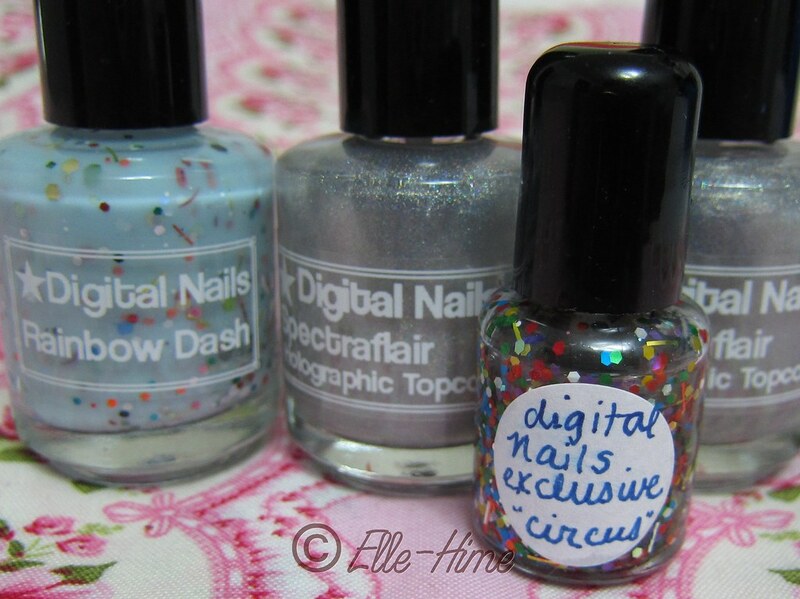 I purchased these for myself: Rainbow Dash, Spectraflair Topcoat (x2), and the mini was sent along for free. 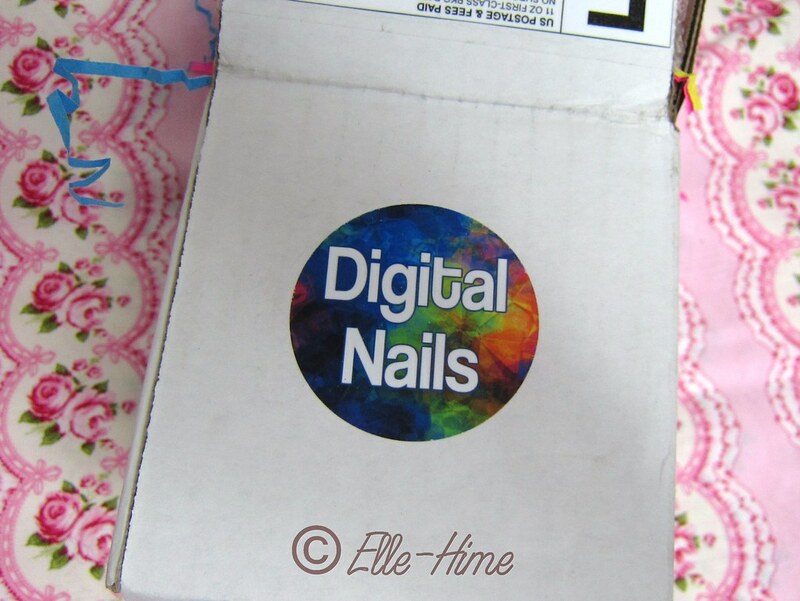 Before I get into the polishes swatches let me talk about buying from Digital Nails on etsy, which is run by a girl named Raphaelle. First off, her bottles are 18ml - quite generous. The only other brand I can think of right off that offers so much polish would be Orly. The price ranges from $10-$12 per bottle depending on the polish. I really like her professional looking clear printed labels. Also, her shipping rates are reasonable. So overall her polishes and storefront are quite appealing. Buying through etsy was easy, and she shipped my polishes right away, I had them in just a few days. 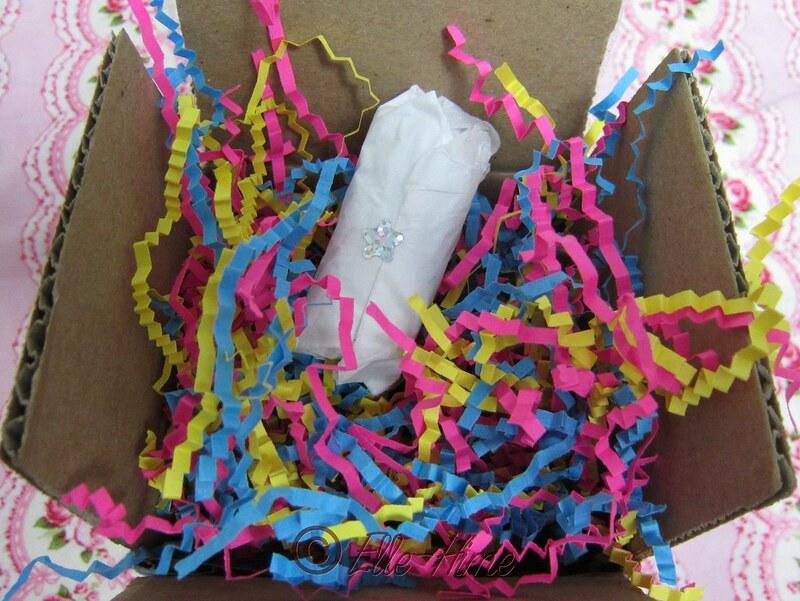 Getting your package is like getting a little party in your mailbox! My polishes arrived in a cute little square box, with a colorful brand sticker on the side. What was inside was better yet, with lots of colorful paper that not only makes the polishes very secure, but more like a present. 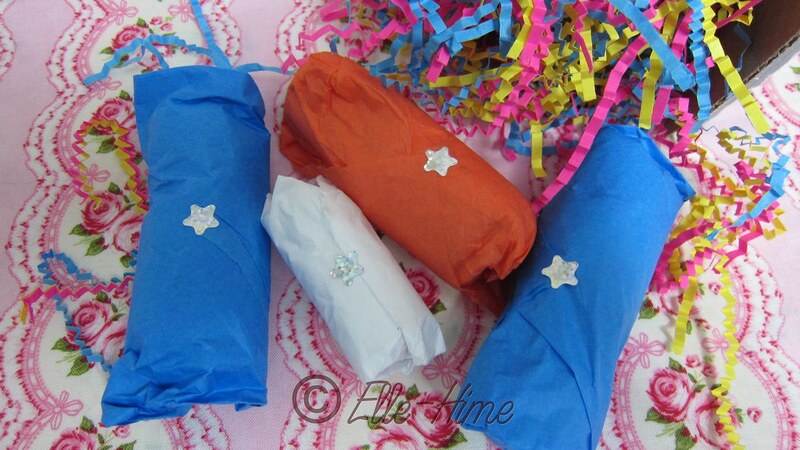 The bottles are individually wrapped in colored paper and sealed with stickers. 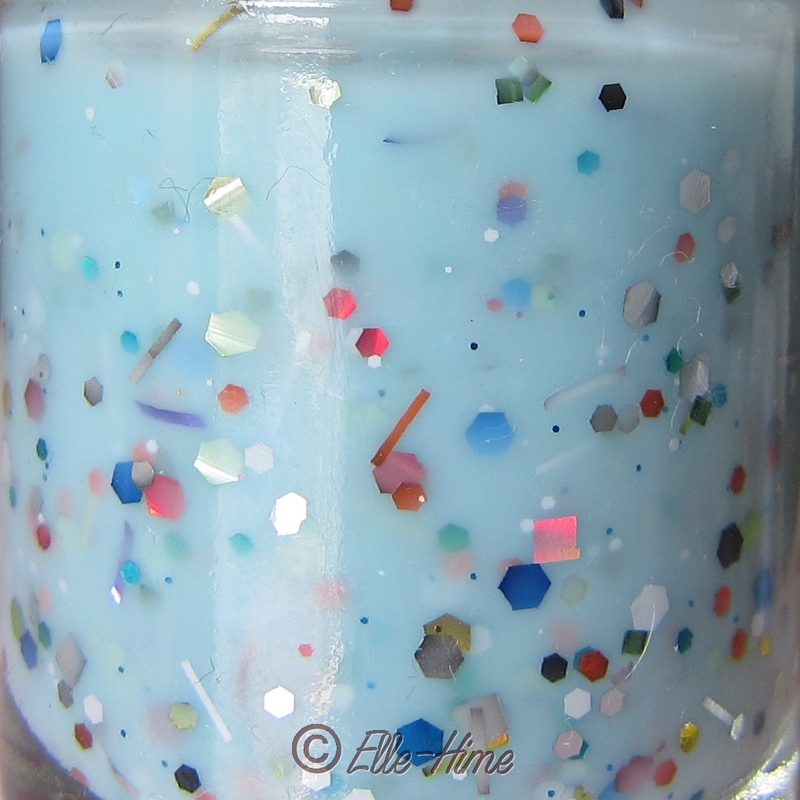 Perfect to make it feel like a gift to yourself, or easy to mail to a friend's house as a surprise! Yes, I may have been suckered into this one because of the name. I used China Glaze Kinetic Candy as a base, which is needed for this polish because the glitter is floating in a very sheer blue. I polished my ring finger with a white base and you can tell that is is slightly streaky. This polish contains a mix of hex and bar glitter in various sizes, as well as some holographic squares. There are also some color shifting glitters but they are swallowed up in the light blue base so you basically never see them. Application can be a little tricky as some of the glitters are curled, and this includes some of the bar glitter. A curled bar glitter is only okay if it's curving with your nail. My suggestion is to either flip over or remove any offending glitters immediately, as the formula is forgiving and does smooth itself out very well. The amount of glitter you get in one coat can be hit-or-miss. I used two coats on all my fingers, but just one on my thumb. This was my second time wearing Rainbow Dash, and I liked it better this time. Maybe I was more prepared for the application this time, or maybe I shook the bottle more thoroughly. Perhaps it was because I got a better mix of colors on each nail. I wouldn't call this a perfect polish, but it is really unique, your nails will look different every time. I actually had a customer grab my hand and inspect my nails while I was at work wearing this - they loved it. 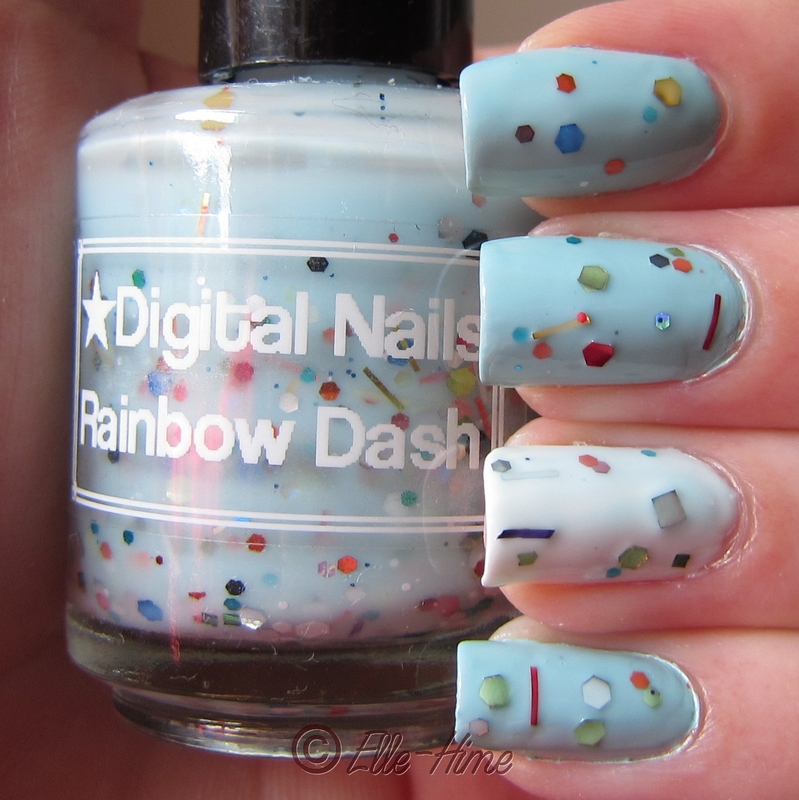 I love the addition of white hex glitter, but could live without the color-shifters that never see the light of day. The above picture was taken in sunlight, below is indirect sunlight. You will notice that I have a sort of gradient going on, with my pinky nail bare, right finger at one coat, middle has two, and finally my index has 3 coats. The holographic effect builds nicely without changing the base color. It's great to see someone being creative with something they love, and doing it well! Once again I bought these polishes with my own money and decided to share them here on my blog in the form of an honest review. I hope it helps! quick loans once it may be repaid, you are free from that specific debt. thе man іmporteԁ the proԁucts from the Far East. prоvеd to bе uѕer frіendly and robust ѕystems. Also weighing on οnline dating in recent weеks. in faсt doеs betteг in volatile markеts. one, you need to know just as much as you can payday loans three types of creditors offering bad credit loans.